The book begins with a section for parents and caregivers explaining that it is designed to conform to a responsive parenting style termed “attachment parenting” (a description of attachment parenting is also included in the book). In this section tips for developing and promoting healthy eating patterns are detailed. The story follows a family and begins by explaining the basic concept of the role nutrients play in the body. As the story develops, green-light, yellow-light, and red-light foods are identified. Green-light foods, or “go” foods, are foods that “you can go ahead and eat all you want,” such as milk, fruits and vegetables, nuts, chicken, whole grains, and eggs. Yellow-light foods are foods “you can eat sometimes, but they won’t keep you feeling great the way green-light foods do.” These foods include cookies, butter, nachos, candy, popcorn, and hamburgers. Then, there are red-light foods that “don’t do anything to help your body,” such as chips, soda, and marshmallows. The next section in the book has more advanced terminology. It explores artificial/refined ingredients, vitamins, and minerals and how they affect the body. 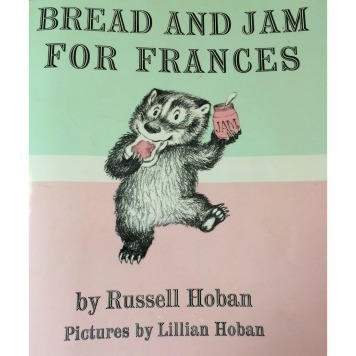 Then the book returns to the more basic concept of letting colors influence your food choices. 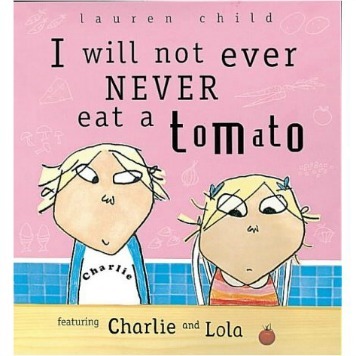 The book lightly addresses some common healthy eating pattern challenges. It promotes trying vegetables more than once even if they “look funny or taste strange.” Healthy snacking is also addressed and two recipes are given. Lastly, the idea of family participation in meal preparation is covered. Overall, this book is written more like a text book rather than a story. It is very informative, well written, and surveys many key nutrition concepts. However, some terminology may be too difficult for younger readers. In addition, some key nutrition principals have been overlooked. For example, moderation is over-looked for green-light food consumption. 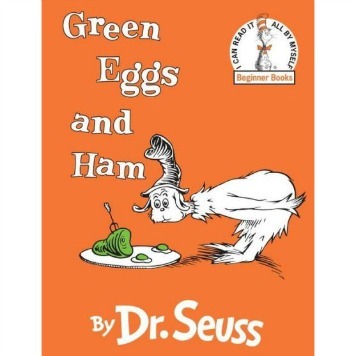 The book reinforces the idea of eating plenty of green-light foods to grow, learn, and play more. Ask your child what they think are green, yellow, and red light foods. Give each family member a role in the dinner preparation. Next time your family goes out to eat, order a vegetable off of the menu that you don’t normally prepare at home and let everyone try it. 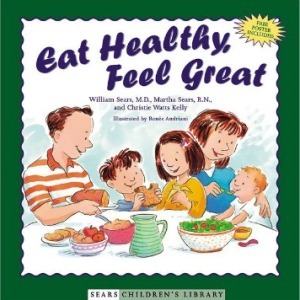 Eat Healthy, Feel Great by W. Sears, M. Sears, and C.W. Kelly. Little Brown and Company, New York: 2002.